Gmail is the most common email service on the internet. Most users link their Gmail account to other online accounts, including Facebook, YouTube, Twitter, Google Adsense and Buzz. To enhance the safety of users’ Gmail accounts, Google set up a two-factor authentication feature. As such, apart from using the regular password when logging in, Google sends a verification code to the user’s phone to activate the login activity. Google can send it via text, audio or a call. Some users prefer using the Google Authenticator app to generate the code safely on their phones. As such, when a hacker or other unauthorised person tries to access your email or obtains your password, he would have to steal your phone too to log into the account. Despite Google setting up a pretty simple process of activating this Two-Factor authentication, only one in ten people uses this feature. Additionally, most of these account holders use similar passwords to access different accounts, and they don’t take the time to set up complex combinations of the passwords. Most people say that it is difficult to set up the feature. As a result, most Gmail accounts are at risk of getting hacked. The development of incredibly advanced hacking tools has caused an increase in the number of attacks in recent times. What Do Hackers do with Stolen Gmail Accounts? Research shows millions of passwords and usernames are traded on the black market to access Google accounts. The researchers used Google’s internal proprietary data to test if the hacked passwords and accounts traded on the dark web can be used to access real accounts. They found that up to 25% of exposed passwords accessed through data breaches on the black market can be used to access and control a Google account. The study further found that there are close to 1.9 billion passwords and usernames on the black market. This is because most account owners use the same password for Pinterest, Facebook, Google, Twitter and other accounts. As such, when one account gets breached, hackers will use the same password to access the user’s other accounts in the belief that it will work. The hackers have also developed tech cyber weapons used for phishing and getting the user’s information. For example, the hacker may create a link to a fake email which displays sites that look like Hotmail or Yahoo to woo unsuspecting users to type in their passwords. The hackers have trapped 12.4 million users through this technique. Users should also be on the lookout for keyloggers like Cyborg Logger, or the HawkEye used to send information to attackers. If the 2step authentication feature is this important, we would expect Google to enforce the procedure on all Google account holders. Sadly, this is not the case. Google says that it would lose a significant number of clients by enforcing the process. The company further explains that 10 per cent of users find it difficult to enter the four-digit verification number sent via text or audio. Other users state that if they lose their phones, they wouldn’t be able to access the email accounts or receive the verification code. Google has set up special procedures for such scenarios, which allow users to revoke passwords, deactivate email accounts and regain access to the accounts using other trusted devices, e.g., laptops or PCs. As such, the user can turn off the two-factor authentication feature until he buys another mobile device. A VPN is designed to encrypt data flowing to and from a connected device. It keeps your account safe from attackers. There are many free antivirus programs on the market. You can install them in your computer to protect it from malware sent by hackers. Software and web browser updates also protect your account and operating system from security threats. This software helps you remember complex passwords when logging in to your account. With simple password managers like KeePass, you can create strong password combinations without the fear of forgetting. Naturally, account holders use a similar password on five or more accounts. Users should set up unique passwords for Gmail accounts to enhance their security. For most people, Gmail accounts contain the most important emails. Thus, in case of a security breach, crucial information can get compromised. Creating a backup email account allows you to save such information. 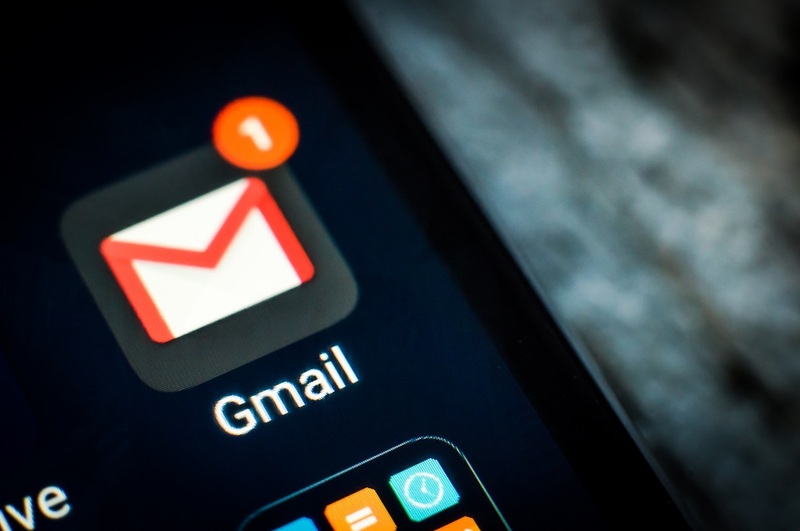 Alternatively, you can download the emails on your device through Google’s POP/IMAP feature if you are using desktop email programs like the Thunderbird or Outlook.